Barnyard Supply has been in business since 2003. 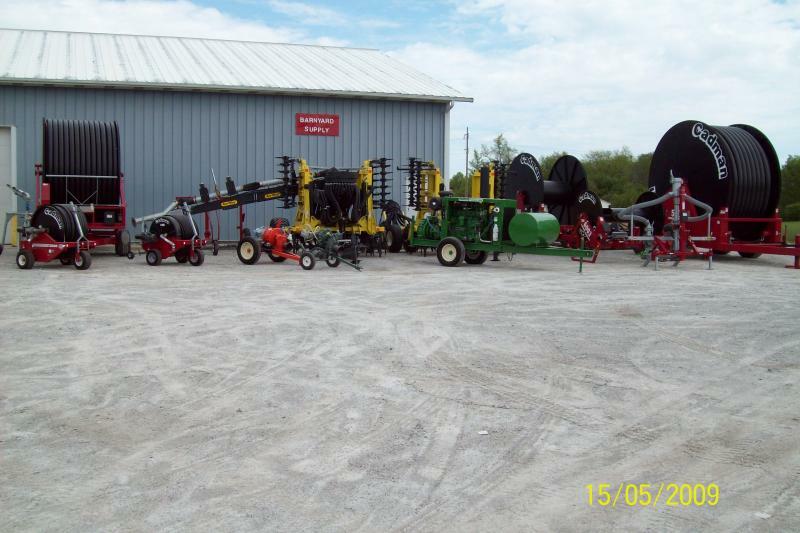 A Family owned and operated Distribution and Wholesale Agribusiness Supply Company. Offering Conservation Tillage, Irrigation Management, and Manure Management Tools, along with a full line of Organic Seeds and related products to its dealers. Working with independent sales and service representatives nationwide to bring the latest technologies and world-class products to these industries. Our goal is to bring increase productivity, lower cost, and provide better information management to help meet the every changing needs and issues of compliance and regulation our customer must face every day in this Global environment. The company is owned and operated by Mark & Timri Berning, They both grew up and still have involvement in the family beef, and crop farm operation in west central Ohio. With over 40 years of combined experience in agri-business and sales, they bring a complete understanding of the issue and challenges facing the agricultural and related industries. Their goal is to provide you with the latest technologies and solutions back by exceptional service and experience. Visit Our other websites for more information on all the products and service we offer.